By no stretch of the imagination do I fancy myself a landscape photographer, but every so often I manage to produce one that I can live with - even if it's only because the scene itself is compelling. This photo is not a particularly special or unique composition. It's reasonably well executed in terms of technical aspects such as exposure and acuity, especially given the weather conditions, but ultimately what makes this image work for me is simply the grandeur of the subject itself. The scene transcends the photography, I think. This is a classic "grab shot" in the sense that I really wasn't prepared for, or even thinking about, taking this photo. While heading back to the Bay Area from Calistoga along the Siverado Trail, I noticed this scene and pulled the car over to the side of the road and snapped away. This was at the tail end of a storm passing through the valley and it was still raining lightly when I took this photo. The view here is facing across the Napa Valley vineyards towards the mountains on the valley's Western flank that separate it from the Sonoma Valley. 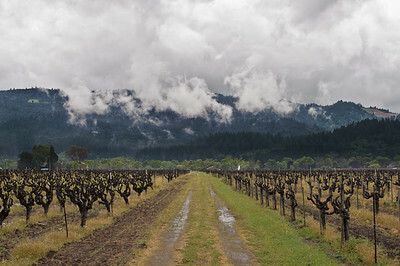 This is a couple of miles south of Calistoga. 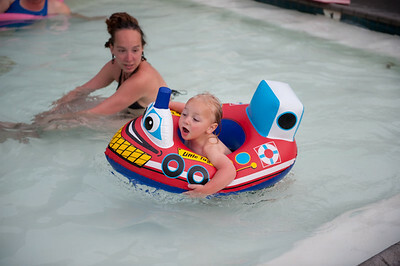 The photo was taken handheld with the Nikon D700 and the new Nikkor 50mm f/1.4 AF-S, stopped-down to f/11. Shutter-speed was 1/250 of a second and ISO was 280. Shot in RAW and converted in Adobe Lightroom v. 2.3. Click the image to view it in a larger size. Ever since the first time Oliver took a bath, it's been clear that he has an affinity for the water. 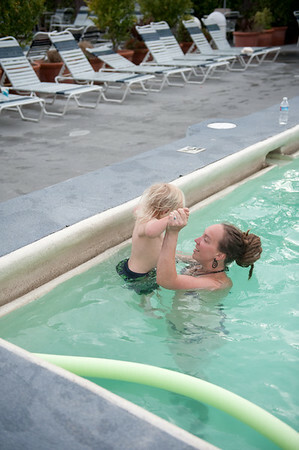 His mom and I decided that it would be fun to finally get him into a swimming pool so we took a quick jaunt up to the Napa Valley town of Calistoga, which has several nice little places with pools fed by mineral water from local hot springs. 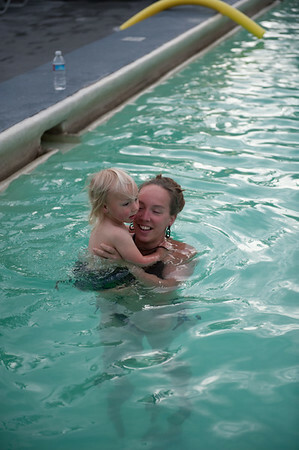 So, even on a cloudy and relatively cold early-April day, the water in the various pools is warm and inviting. 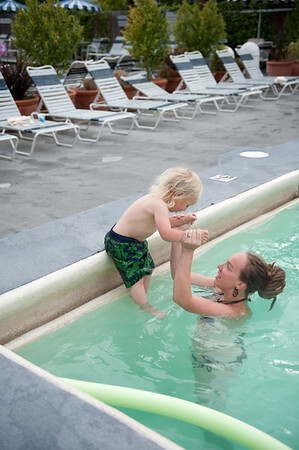 Oliver took to the water like a fish, he even seemed to know intuitively how to move his arms and kick his legs as if to swim. No trepidation at all. A few more pics from this outing are in the galleries here and here.